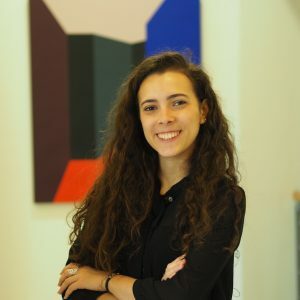 Munique has previously studied law at the Pontifical Catholic University of Rio de Janeiro and participated in the Vis Moot competition both as a team member and twice as a coach. After graduating from law school, Munique started working at the law firm Kincaid | Mendes Vianna Advogados, which is specialized in litigation and arbitration proceedings in a maritime context. 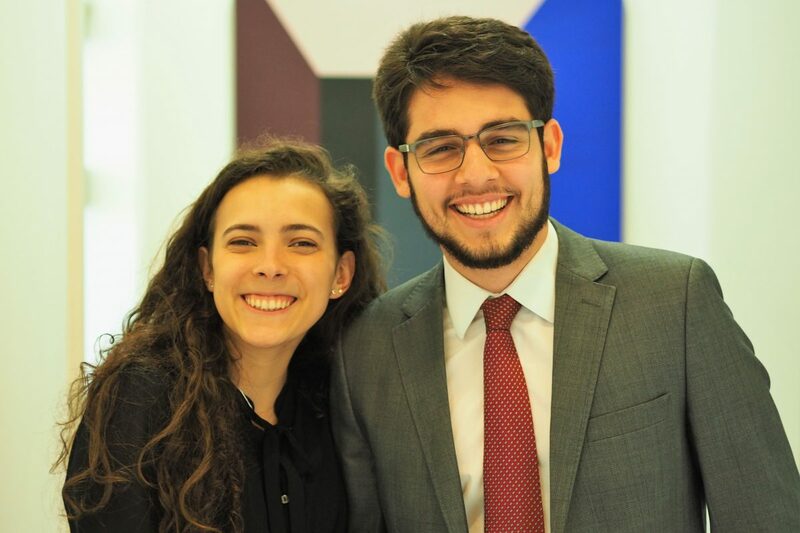 Thiago has studied law at the Pontifical Catholic University of Rio and has previously spent a semester abroad studying in the University of Cologne. 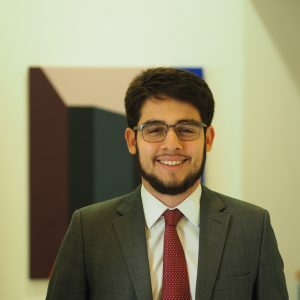 He represented his university at the Vis Moot Competition in 2013 and, following his studies, took up a position as associate with the law firm Stüssi-Neves Advogados, which is specialized in litigation and arbitration. By preparing the answers to the Q&A below, Munique and Thiago were kind enough to provide us with a concise and useful overview on Enforcement of Arbitral Awards in Brazil. Based on the UNCITRAL Model Law, the Brazilian Arbitration Act (1996) is considered to establish a pro-arbitration atmosphere in the country. After recent amendments in 2015 and supported by several arbitration-favourable decisions by the Supreme Court of Justice and the Superior Court of Justice since 2001, one may state that Brazil is well-positioned in the arbitration field. The statistical report of the International Chamber of Commerce (ICC) for the year 2016 placed Brazil in 3rd place as regards party-rankings worldwide with 123 participating Brazilian parties in arbitrations under the ICC Rules. In addition, there are many arbitral institutions in Brazil, which have developed the market and continue to do so. Among others, common arbitration institutions are the Center for Arbitration and Mediation of the Chamber of Commerce Brazil-Canada (CAM-CCBC), the Brazilian Centre for Mediation and Arbitration (CBMA) and the Business Arbitration Chamber – Brazil (CAMARB). What is the applicable law for recognition and enforcement of a foreign arbitral award in your jurisdiction and which is the relevant section? Pursuant to Art. 34 of the Brazilian Arbitration Law no. 9.307/96 (hereinafter “BAL”) and the applicable jurisprudence of the Superior Court of Justice (REsp nº 1.231.554), a foreign arbitral award is an award rendered in a country other than Brazil. The applicable arbitration act for recognition and enforcement of a foreign arbitral award is the BAL. Pursuant to Art. 34 BAL, the 1958 Convention on the Recognition and Enforcement of Foreign Arbitral Awards (hereinafter “New York Convention”) is also applicable. In case of gaps, Chapter VI of the Brazilian Civil Procedure Code (hereinafter “BCPC”) applies pursuant to Art. 960 para. 3. Finally, the internal rules of the Superior Court of Justice (‘Superior Tribunal de Justiça’) are applicable for matters not regulated in the previously mentioned statutes. Is your jurisdiction party to the New York Convention? If yes, what is the date of entry into force of the Convention? Was there any reservation made under Art. I (3) (reciprocity reservation) of the Convention? Brazil is a signatory country of the New York Convention. It was ratified by Brazil on 7 June 2002 and no declarations or reservations were made. Which is the competent court for an application for recognition and enforcement of foreign arbitral awards? The Superior Court of Justice has jurisdiction over an application for recognition of foreign arbitral awards pursuant to Art. 35 BAL and Art. 104 I (i) of the Brazilian Federal Constitution. Once recognized, the competent federal court has jurisdiction over the application for enforcement in accordance with Art. 965 BCPC. How does one initiate court proceedings for the enforcement of an arbitral award in your home jurisdiction? pay the judicial costs as regulated in the internal rules of the competent court. Furthermore, if a party seeks enforcement of a foreign award, that party must attach the authenticated copy of the decision that grants recognition to the request pursuant to Art. 965. BCPC. Are there any requirements for the court to have jurisdiction over an application for recognition and enforcement of foreign arbitral awards? If yes, what are they? Must the applicant identify assets within the jurisdiction of the court? No. There is no additional requirement or an express requirement of identifying assets under Brazilian law. The court fees that must be paid to file a request for the recognition and enforcement of foreign awards in Brazil are in the form of fixed fees and thus independent from the amount in dispute. Currently, they amount to R$ 179,37 as of 28 May 2018 (which converts to approximately EUR 40 to EUR 50 as of today). This amount may vary according to inflation rates, as per Resolution STJ/GP N. 2 DE 1º DE FEVEREIRO DE 2017. The court fees must be paid at the moment the request for recognition and enforcement of a foreign awards is filed and must be borne by the requesting party. As to the lawyer fees, there is no express legislative provision on how these costs should be allocated. Therefore, the matter is within the court’s discretion, which usually decides that the losing party must bear the costs of the other party´s attorney. The proceedings are adversarial. As soon as the requesting party files the request for recognition and enforcement of the foreign award, the party against which enforcement is sought is notified and may attempt to challenge the enforcement request. What documentation is required to obtain recognition of an arbitral award? For instance, must the award be submitted in original or a certified copy? Must the original arbitration agreement be submitted? The original arbitration agreement or a duly certified copy thereof along with a certified translation (if the document is written in a language other than Portuguese). Yes. The translation must be certified by an official or sworn translator or by a diplomatic or consular agent pursuant to Art. 37 BAL and Art. IV New York Convention. No. There are no such requirements imposed by law. However, as the Superior Court of Justice is located in Brasilia, it may be preferable from a practical point of view to be represented from a local lawyer in that city. When filing a request for enforcement of a foreign award, the requesting party must inform the court about the address of the opposing party to allow the court to serve the defendant with the writ of summon. According to the BCPC, a party must be summoned personally or through its legal representative. The summon can be effected by post, by a court clerk, by the court secretariat, through official gazette or by electronic means, as regulated by law. If a party is outside of the Brazilian jurisdiction, the summons in a judicial procedure will be performed through a letter rogatory to the jurisdiction in which the respective party is located. Yes. As previously described, in order for a party to enforce a foreign arbitral award, a request must be filed with the Superior Court of Justice (cf. the answer to question 3 above). Thereupon, the court decides if the award fulfills all the formal requirements for recognition and enforcement, and, in case the opposing party does not oppose this request, recognition and enforcement is granted by the Superior Court of Justice. In case the opposing party does not comply voluntarily with the decision, the party in favor of which the decision recognizing the award was rendered can request the federal courts to enforce it. As regards domestic awards, Art. 515 VII of the BCPC characterizes the arbitral award as an enforceable judicial title. Thus, the party in favor of which the award was rendered merely has to file an application before the state courts requesting exequatur. It must be stressed that this remains a contentious topic in Brazil because the BAL itself does not specifically regulate this issue. In the opinion of many Brazilian lawyers, however, partial and interim awards are enforceable before Brazilian courts. As regards interim awards, Art. 962 BCPC states that urgent measures may be enforced, which should affect all interim awards by analogy. The article is applicable because the issue is not regulated under BAL (cf. the answer to question 1 above). In respect of partial awards, the conclusion is the same. Art. 961 para. 1 of BCPC states that it is possible to recognize definitive judicial decisions as well as non-judicial decisions possessing jurisdictional nature pursuant to Brazilian law. This article is also applicable by analogy as the BAL does not regulate this issue. Cf. e.g. MEDAGLIA, Ivo de Paula. As sentenças arbitrais parciais à luz da Lei n.º 13.129/2015 e do CPC/2015. Available at: http://www.cbar.org.br/blog/artigos/as-sentencas-arbitrais-parciais-a-luz-da-lei-n-o-13-1292015-e-do-cpc2015 (Last visited 20.06.18). What are the grounds on the basis of which an award may be refused recognition? Do the relevant provisions differentiate between domestic and foreign arbitral awards? If yes, what are the differences in their requirements? the award has not yet become binding on the parties or has been set aside or suspended by a competent authority of the country in which the award was made. Additionally, the Superior Court of Justice may refuse recognition of an award if, under Brazilian law, the subject matter of the difference is not capable of settlement or the recognition or enforcement of the award would be contrary to Brazilian public policy. It must be noted that in respect of both domestic and foreign awards, the court may only examine whether the formal aspects of the award are in accordance with Brazilian legislation and international agreements during recognition and enforcement proceedings. In order to illustrate the construction of public policy in Brazil, one may mention the example of the refusal of enforcement of an award based on the absence of a valid summon of the defendant in the arbitration proceedings. This issue pertains to the non-observation of due process, one of the most important legal principles under Brazilian law. Such breach would be a ground for refusal both for the Superior Court of Justice as it violates Brazilian public policy and it would also fall under the provision of Article 38 (iii) BAL or Art. 5 (I) (b) New York Convention. Additionally, it is important to observe that although the Superior Court of Justice does not touch upon the merits of an award in recognition and enforcement proceedings, there is an exception to this rule when it comes to the public policy argument. According to previous decisions of the Superior Court of Justice, when public policy is at stake, the judiciary may assess the merits of the decision. Once recognized, the award becomes effective in Brazil pursuant to Art. 35 BAL and Art. 961 BCPC. It is immediately enforceable before the competent Federal Court, Art. 965 of BCPC. Yes. Pursuant to Artt. 1.029 et seqq. BCPC, the possible remedy is the appeal to the Supreme Court of Justice (‘Supremo Tribunal Federal’, which is the competent court for constitutional matters and should not be confused with the Superior Court of Justice or ‘Superior Tribunal de Justiça’). The available remedy in case of a refusal of recognition is also the appeal to the Supreme Court of Justice pursuant to Artt. 1.029 et seqq. BCPC. It should be noted that the applicant may re-introduce the request for recognition if the previous denial occurred because of formal defects, provided that those defects are remedied, according to Art. 40 BAL. Are any additional defenses such as a set-off claim possible in enforcement proceedings? No. According to Brazilian legislation, the defenses that can be raised against a request for recognition and enforcement of a foreign award are the ones contained in Articles 38 and 39 BAL, as described in the answer to question 15. Brazilian legislation has no provision dealing with the enforcement of awards that have been set aside in the country in which they were made. However, in the prominent case SEC Nº 5.782, the court concluded that a decision that has been set aside by the courts at the seat of the arbitration cannot be recognized and enforced in Brazil. The court held that enforcement proceedings in Brazil are not capable of granting legal effect to a foreign award, but that such proceedings were rather transferring such effect to the Brazilian jurisdiction. In case an award is set aside after the award has been recognized, it is possible for a party to file a request for the annulment of the decision that granted recognition and enforcement. Art. 966 BCPC lists the possible reasons for filing a request for the annulment of a previous court decision. Are interim measures against assets available in your jurisdiction available? And if yes, what kind of measures are they? Interim measures are expressly provided for in Article 961 para. 3 BCPC. Moreover, Art. 301 BCPC contains an exemplary list of the possible types of measures that may be requested. These measures comprise seizure, restrain of assets and annotation of legal constraints in public property records. The same provision also provides for the application of any other measure that the judge considers necessary in the specific case. Article 300 para. 1 BCPC establishes that the judge may order a party to provide security for costs in case of an interim measure request. The wording of this provision is broad, in consequence providing for a wide discretion of the judge when deciding a security for costs request based on an analysis of the peculiarities of the specific case. Practice shows that judges tend to require a party to provide such security when there are strong reasons to believe that it does not possess sufficient assets.